One of the most appealing qualities of a dog is the desire to enjoy the company of other dogs, their owners and other humans. But there are potential problems for the owner who does not take steps to build a healthy relationship with their dog nor teach their pup to be relaxed when left alone. 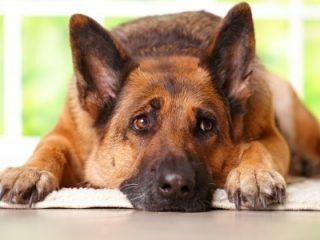 In many cases the importance of this aspect of caring for your pet dog is not apparent until things go wrong. 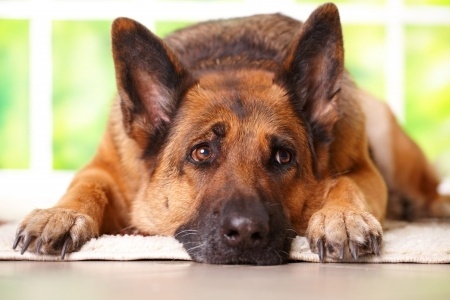 In extreme cases, owners require professional help when their dog engages in such things as destructive chewing, whining or howling, urination and defecation, when left alone. GOOD SOCIALISATION. Take every opportunity to introduce your pup to new experiences, new people and new places. Seek out your local APDT member for advice and enrol in a puppy class. Your aim should be to build confidence and avoid over attachment to one person. Introduce your dog to your friends and neighbours and teach it to be relaxed with other people. CRATE TRAINING. The crate offers many benefits. It prevents your pup following you all around the house, enables you to be separate but still in sight and gives the pup its own space and place of comfort and safety. Even older dogs can be introduced to a crate. Make sure the crate is comfortable, cover it with a blanket and give your dog a food-delivering toy, such as a Kong, while the dog is crated. POSITIVE REINFORCEMENT. The most stressful time for your pup is immediately after you leave. A simple training programme will help. Start by walking a distance away from your pup, turning to walk back, greet calmly and reward a good response (if your pup becomes over excited, ask for and reward a sit or a down). Then leave the room, pause briefly out of sight and return as before. Gradually increase the duration of absence. When your pup is secure and relaxed when you are out of sight, go out of the house and return as before. As before, gradually increase the duration of absence. Putting your jacket on before leaving will strengthen the effect of this exercise. A CALM EXIT. Do not make a fuss before going out. Too much attention may increase your pup’s insecurity when the attention is removed. Your pup will not understand your words but will have a heightened sense of something going to happen. A CALM RETURN. While it is nice to be greeted by a dog that is clearly delighted to see you, do not make too much fuss when you return this attention.